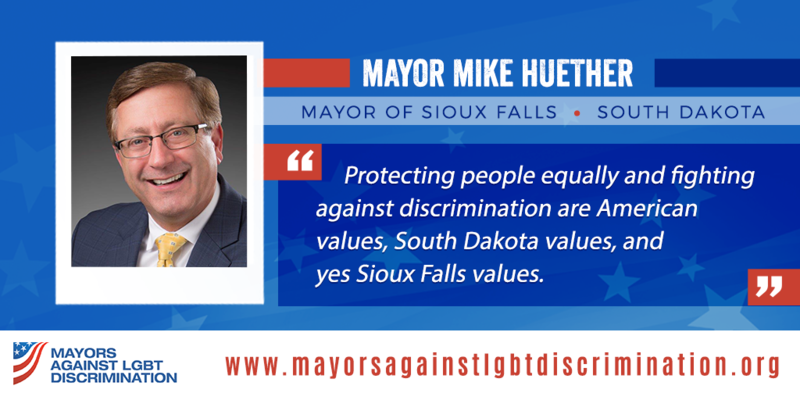 Mayors Against LGBT Discrimination is excited to announce that Mayor Mike Huether of Sioux Falls has become South Dakota’s first mayor to join the bipartisan coalition of mayors who support LGBTQ-inclusive non-discrimination protections, taking us to nearly 300 mayors in 48 states and the District of Columbia who have signed a pledge supporting comprehensive non-discrimination protections for LGBTQ people. More than 200 cities and 18 states have already passed comprehensive non-discrimination protections for LGBTQ people in housing, employment, and public accommodations. Currently, neither Sioux Falls nor the state of South Dakota have these protections in place. 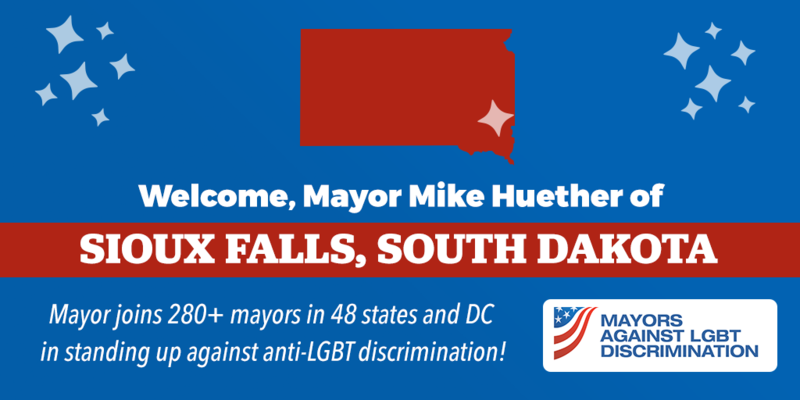 Mayors Against LGBT Discrimination is proud to welcome Mayor Mike Huether to our bipartisan coalition, and we hope other South Dakota mayors will soon follow suit. To view our entire coalition, click here.